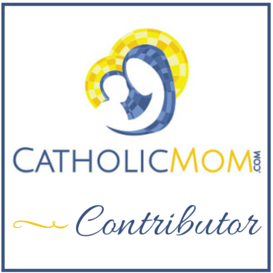 I’m giving away a copy of Side by Side: A Catholic Mother-Daughter Journal! Here’s my review and your chance to win! November 16, 2018 in book review, books Books BOOKS, faith, family, giveaway. Vampires Meet the Friars Preachers, and the Result is Fantastic! Vampires in London? Dominican friars who moonlight as vampire slayers? What’s not to love? September 13, 2018 in book review, books Books BOOKS, faith. Carolyn Astfalk’s book rightfully earns a place on my teenagers’ reading list this spring! April 11, 2017 in book review, books Books BOOKS, faith. Stephen J. Binz has written the perfect guide for making a pilgrimage to the California Missions. February 15, 2017 in book review, faith. Pope Francis Rides the Bus is a collection of stories that helps us get to know “Father Bergoglio” a little better. January 3, 2017 in book review, faith. Dr. Ray is a haven for parents who are bombarded with advice that goes against their instincts. December 13, 2016 in book review, family. In the anthology Image and Likeness, readers meet believable characters in engaging stories that highlight the teachings of St. John Paul II. October 22, 2016 in book review, Culture of Life, faith.